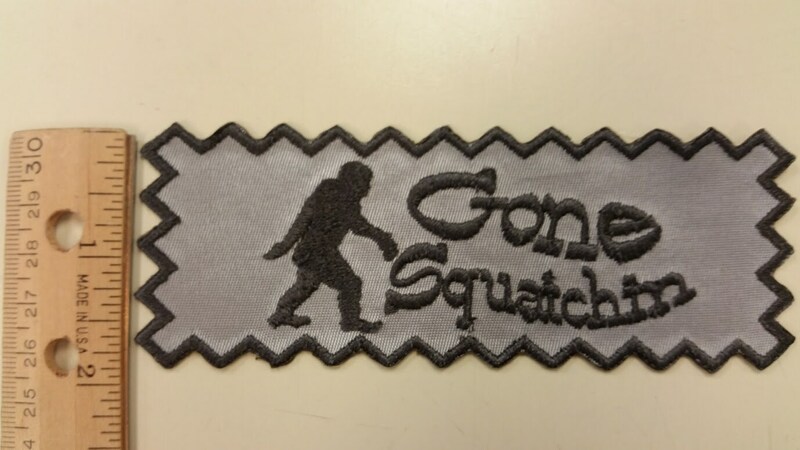 Bigfoot fans and urban legend fans will love this applique patch. 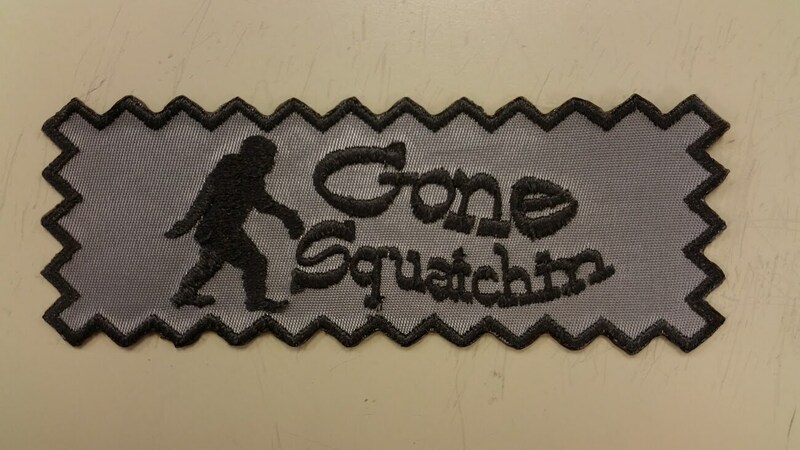 It has a zigzag border with a shadow of Sasquatch and the words Gone Squatchin, embroidered in charcoal thread on a grey applique background. This patch has an iron on adhesive to make the application process easier on your apparel or bags. 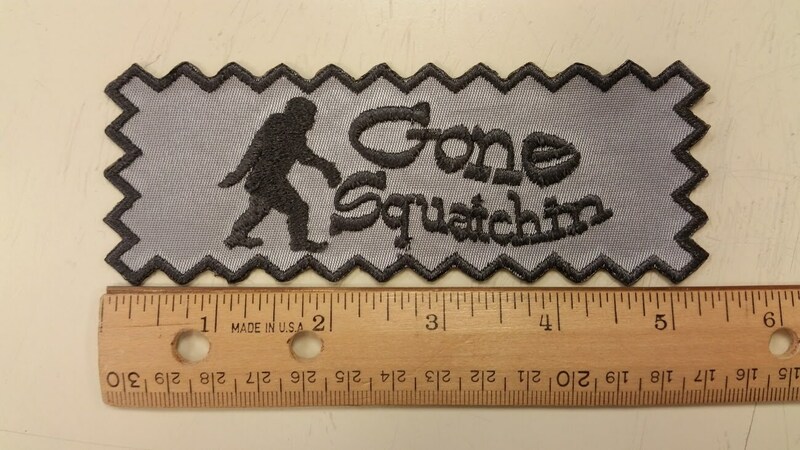 The patch measures roughly 5"W X 2"H.